Jerry began wrestling at Los Gatos high school, where he was a Santa Clara Valley Champion. He began his illustrious coaching career at Ukiah HS. During his 42 years coaching wrestling at Ukiah high school, Jerry has helped guide teams to 16 NBL titles, two NCS championships, two NCS runner-ups, a third place finish at the CIF Nor Cal tournament and a second place finish at the CIF State Tournament. Jerry was selected as the NSC “Coach of the Year” for wrestling in 1987. Many of his former athletes have gone on to compete at the college level (several have became All-Americans), then have returned to their communities to educate, coach, referee and support local wrestling programs. David has been involved in wrestling for 43 years. David started wrestling at South Tahoe High School. David’s senior year he was ranked #1 in the CIF Sac-Joaquin Section and won league and CIF Sub-Section titles. He continued his career at Sierra College where he was a 2X team captain, 2X Conference Champion and State qualifier. He was later named to Sierra College’s Dream Team. After wrestling at Sierra, David pursued his career as a chiropractor while serving as an assistant coach at Sierra College for two years. David has always sought to give back to wrestling by coaching officiating, and organizing youth wrestling clubs in South Lake Tahoe. David has hosted and supported several Japanese cultural exchange teams. David also hosted and ran the Nevada State HS Championships. Bob graduated from Chino high school, lettering in four sports: tennis, track & field, football and basketball. His success in sports continued at Mt.Sac, where he earned “All-State half-back” and at U.C. Berkeley, where he lettered in football & rugby. From 1957-1962, Bob established a wrestling program and coached wrestling at Miramonte high school. In 1962, Bob moved to U.C. Davis as a football and track & field coach, and assisted with the wrestling program then took over as head coach in 1969. For more than twenty years, Bob developed the wrestling program at U.C. Davis. While Bob is proud of the fifteen “All-American” athletes he coached, he is also pleased with how many of his athletes graduated from the university with their experience enriched by their participation on the wrestling team. Chuck has been a successful wrestling and football coach in the Stockton area high schools where he had many CIF Sac-Joaquin Section and Nor Cal placers. Chuck was a member of the California USA wrestling coaching staff to the national tournament. Chuck has been the tournament director of the CIF state wrestling championships for a total of 11 years. Under Chuck’s leadership the CIF State tournament continued to grow in stature and attendance. His dedication and diligence to run a quality meet has been his forte. Chuck has the uncanny ability to surround himself with quality people to help him pull off this magnificent event for over a decade. David was the head wrestling coach of Stagg high school for 17 years. David’s teams won the CIF Sac-Joaquin Sub-Section Championships in 1975 -1976 along with several city championships. David had many outstanding wrestlers including Jesse Barajas, who coached Overfelt high school to a state championship in 1979. David, is also a former member of the Nor Cal high school wrestling coaches association. He co-directed the Nor Cal Championships in Stockton in 1966. Dave was the head scorekeeper of the CIF state tournament for 14 years. A Nebraska native, Dave Foster discovered his love for wrestling when he returned to his home state as a coach and teacher. After that, Foster headed west to Northern California to work as a coach and mathematics teacher, first at the high school level and then at the junior college. Dave started at Lassen Community College in 1967, where he developed an illustrious coaching career. At the height of his career in the 1980’s, his team won many Golden Valley Conference title along with North and North Central Section titles. In 1986, his team won the California State Community College Championship in the large school category. Among his honors, after winning several championships in his category, he received the California Community College (1987) “Coach of the Year.” award. 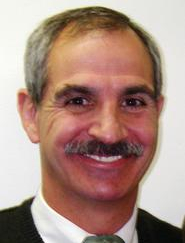 Dave coached and taught mathematics for 30 years, he was also been on the city council and mayor of Susanville, Ca. Suzanne began her 32 year career in service to wrestling by running the head table of the Nor Cal “Tournament of Champions” Junior High Tournament. She has managed this legendary youth event for 32 straight years. 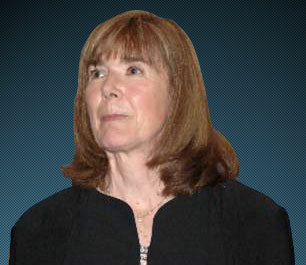 Suzanne has organized and worked the head table at over 100 tournaments through the years, including JR High School County Championships, HS League and CIF Sub-Section Championships and two JC State Regional Championships. She has even coached and taught wrestling to her Jr. High School classes, inspiring many young athletes to join the wrestling team. Jim has been a tireless volunteer and ambassador for wrestling in the Sacramento area. He has been a USA wrestling pairing official at the p1 level. Jim has paired at local, state, regional and national tournaments, including the Olympic trials for over 20 years. 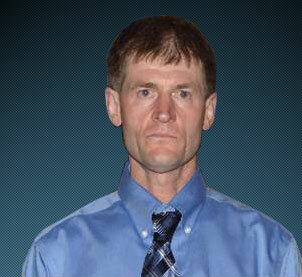 Jim has also worked league, CIF Section & Masters tournaments as well as the Foothill tournament in Sacramento. Jim has been a tournament director at El Camino high school and the San Juan districts for middle schools. Jim has held some board positions, which include SAWA and California USA wrestling. Jim has announced for Sacramento City College and coached at El Camino high school. Gary began a 40 year career in education and coaching in the South Modesto area, where he devoted his life to working with young athletes in wrestling and golf. As a wrestling coach for 16 years, his teams won league titles and his athletes excelled at the section and state level. After coaching Gary continued to give back to wrestling as an exemplary official for 30 years, where he served as the head official at the Sac-Joaquin Section meets and officiated at the CIF State championships. His coaching endeavors didn’t end with wrestling, as Gary also coached Football and Golf. In the sports Gary coached, he has won 14 “Coach of the Year” awards. If this were not enough, Gary balanced a successful career as a professional golfer with all his other interests. Bert began wrestling at Arcata High School in 1971 where he was a three-year letterman. He continued his career at College of the Redwoods, where he was a conference champion and Community College state small school runner-up. He completed his career at Humboldt State University, where he lettered 2 years and won the NCAA Western Regional Championship. He then began a very successful 25 year coaching career as a walk-on coach at Arcata H.S. Bert’s overall coaching record stands at 263-40-2. During his tenure, his teams won 3 CIF North Coast Section titles and 15 League Championships. His athletes went on to earn 7 CIF State medals, including 3 finalists, along with 14 North Coast Section Individual Championships. Bert has been inducted into the College of the Redwoods, Humboldt State University and Arcata HS Hall of Fame. Greg started wrestling at Edison high school in Stockton then went on to wrestle at UC Davis. Greg served as the wrestling coach at Franklin, Edison, and St. Mary’s High schools in Stockton, where he coached several league champions, along with some section and State qualifiers. Greg was actively involved with USA wrestling where he served as the Cultural Exchange Director, official, and was a member of the USA Wrestling National coaching staff at the world championships and Pan American Games for Greco-Roman wrestling. Greg has also received the USA Wrestling Gold Certification for coaching. Greg was active in the Stockton wrestling community as founder of the USA Stockton wrestling club, (where some of his club members were state, regional and national place winners.) Greg organized the Police Olympics in wrestling and helped with the management of the California high school state championships. Ron wrestled for Woodland high school and was a four-year varsity letterman. While at Woodland, Ron was captain, MVP for two years and a 2-time CIF Sac-Joaquin Section qualifier. After high school, Ron enrolled at Sacramento City College where he was a conference champion Northern California Champion. Ron wrestled for California State Sacramento where he was the team captain and conference runner-up. Ron then went into coaching, where he was the head wrestling coach at Woodland High School for twenty years. Ron’s teams were league champion’s 10-times, Sub-Section Champions, 5-times and CIF Sac Joaquin Section Champions 2-times. He had a record of 137 wins and 18 losses. Ron coached 7 state medalists, including a 2-time California state champion – Eric Wais. Ron’s athletes went on earn NCAA” All-American” status four times, including 2 NCAA Champions and an Olympian in 1980. Dan started wrestling in Pennsylvania as a high school freshman before moving to California and completing his high school career at Wheatland high school with a 67-9 record. While at Wheatland, he was a 3-time league champion, 2-time CIF North Section Champion and 3-time Nor Cal state championship qualifier. Dan then went onto wrestle at Chico State University where he posted a 67-20 record, which he was a Far Western Conference Champion and 3-time NCAA DII qualifier. When Dan went into coaching, he spent almost half of his coaching career as a walk-on coach with his full time job being a pastor at a church. His high school coaching career consisted of 12 years at Anderson high school, 2 years at Nuremberg American high in Germany and 10 years at West Valley high school. Dan’s dual meet record was 305 wins, 50 losses & 2 ties. Dan’s teams won 5 CIF Northern Section Championships & 11 league championships, which included 7 undefeated dual meet seasons. He coached 40 individual North Section Champions, 4 individual state placers and 2 individual state champions. Dan’s teams also placed in the top 5 nineteen times out of 22 years in the north section, including five 2nd place finishes. Dan is the only individual to win a CIF North Section Title as a competitor and as a coach. He is also the only one to win a North Section Championship with two different schools. And he is the only father-son combination to win a North Section championship as competitors. Rod wrestled at Castro Valley high school where he was a member of two section championship teams. At Chico State College, he was a Far Western Conference Runner-up and a NCAA Division II Nationals qualifier. Rod began his coaching career in 1971 at Orland high school. Then coached 6 years at Georgetown school which 3rd – 8th graders. Then in 1978 he started the wrestling program at Golden Sierra high school, where Rod had been the head coach for 25 years. With a school of 500 students, rod’s high school wrestling teams won the Golden Empire League Championships 11-times, including nine consecutively from 1994-2002, had a league record of 65 wins and 3 losses from 1990—2002. In 1998, Rod’s team won the Sac Joaquin Dual Meet Division III Title and Rod was named Sacramento Bee Metro “Coach of the Year”. Rod was instrumental in the formation of the Small School CIF Section for wrestling in the Sac Joaquin Section and started the “legendary” Junior HS Tournament of Champions and has managed the event for over 25 years. Shon wrestled in high school at Kennedy and Placer high schools, Where he was a CIF Sub-Section Champion and State qualifier. After high school, Shon wrestled at the University of Oregon where he was the Pac-10 Conference Runner- Up. Shon enlisted in the US Army and joined its wrestling program, where he won six armed forces Greco-Roman titles and competed in the world military championships and was named US Army “Athlete of the Year” Shon competed in the 1993 & 1999 on the US World Championships teams. Shon was a four-time US Open Greco-Roman Champion. After competing as an athlete, Shon Lewis stayed involved in the sport as a coach. He has coached numerous Olympic and World team members all three Olympic styles. Shon’s coaching resume includes being a coach for the USA Greco-Roman Wrestling Teams in the 2004 & 2008 Olympic Games. Shon has been named Greco-Roman “Coach of the Year” by USA Wrestling three times and is currently the head coach for the US Army Team. Mark was a 2-time California state wrestling champion at 189 lbs at Vallejo high school. Mark’s senior year he was named to the Asics First Team “All American” and won the Senior National high school championship. Additionally, Mark made the FILA Jr. World Wrestling Team, finishing 2nd in the world championships in 1998. As a collegian at Oklahoma State University, Mark was a 4X starter for the wrestling team. Mark captured two Big 12 Championships and earned back-to-back “All-America” honors at 197 lbs, including his NCAA DI Title as a senior in 2001. Mark is sixth in the All-Time win list for Oklahoma State. Of special note, Mark became the first Filipino American at the Division 1 level to win a national championship. Mark got into coaching in 2001, where he coached at Oklahoma State University, for two years. Mark then coached as an assistant at U.C. Davis from 2003-2008, which he aided in the school’s NCAA champion, Derek Moore. Mark then moved down south to Orange County, where he is now currently coaching at Cal State Fullerton. In addition, Mark continues to be a FCA motivational speaker and is the founder and owner of West Coast Wrestler, which includes: camps, club and clinics. Dave started wrestling at Crawford high school in San Diego and attended San Diego Mesa Community College where he was a state placer. He attended Chico State where he lettered twice and was an NCAA DII national qualifier. Dave began his coaching as an assistant at Chico State in 1978 and while spending the last 23 of his 31 years in coaching as a teacher/coach at Red Bluff high school. At Red Bluff Dave amassed the following: coached 118 North Section CIF placers, 23 North Section CIF Champions, 8 state placers, 2 state finalists, 1 state champion, 1 All-American, 122 freestyle/greco state placers, 24 freestyle national qualifiers, & 4 Freestyle/Greco “All-Americans”. In addition, Dave has coached 10 league championship teams, 4 North Section Championship Teams. His dual meet record is 220 wins, 53 losses & 2 ties. In addition, his 2007 team set the all-time CIF North Section scoring record with 231 points. Aside from coaching, Dave has served with distinction on CIF North Section, CIF state and national wrestling committees. He has received many “Coach of the Year” awards including CIF State “Coach of the Year” in 2005 and was a finalist for national coach of the year in 2006.